When someone has Alzheimer’s, they lose their newest memories first. Questions like “What did you do this morning?” or “How was lunch?” may be confusing or frustrating questions for someone with Alzheimer’s disease. But reminiscing about your loved one’s past can be a nice place to start a conversation. 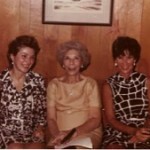 Use photos from their past and talk about people or events that they know well. If you are a caregiver, but not a family member, and don’t have access to old personal photos, use older photos from when they were young to inspire conversation. 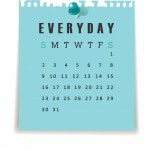 Read more information about Memory, Reminiscence, and Alzheimer’s Disease. 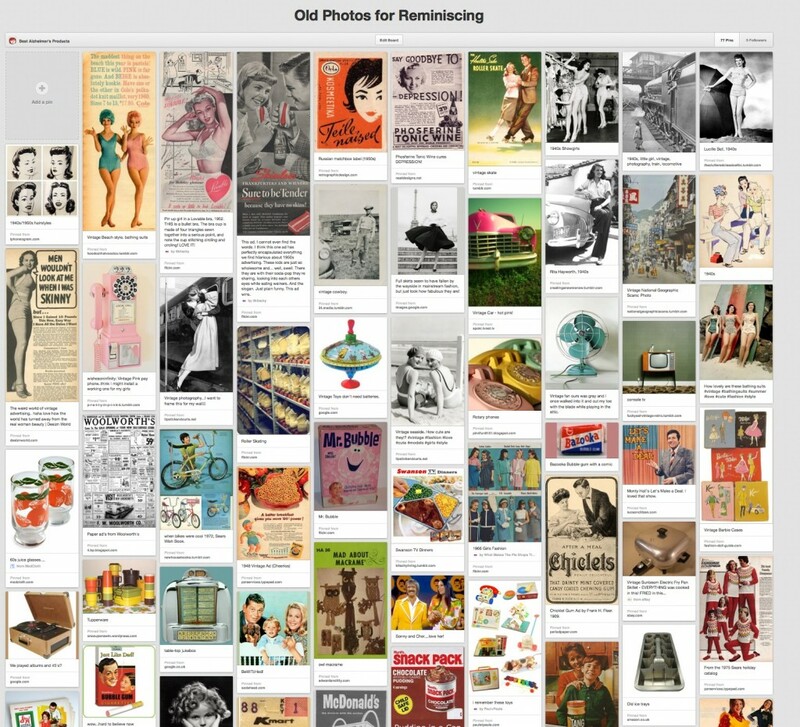 Find more images like the ones below on our Pinterest page. This old Sears catalog contains plenty of drawings to inspire reminiscing, especially for someone who was in the building trade. 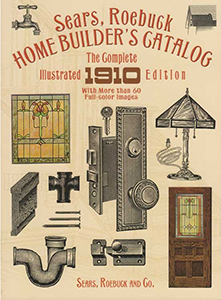 Sears, Roebuck and Company’s 1910 catalog of home building materials, fixtures, and accessories — from roofing and siding to chandeliers and porcelain bathtubs. Vintage ad copy, specifications, and prices provide a nostalgic look back at the way homes were built at the turn of the last century. An authentic source for restorers of homes today, as well as a wonderful source for reminiscence, especially for anyone who was in the home building industry. 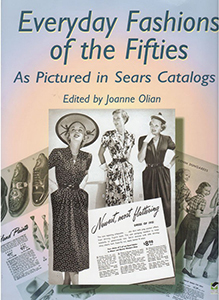 Bernice loved this catalog since she taught sewing classes for Sears. 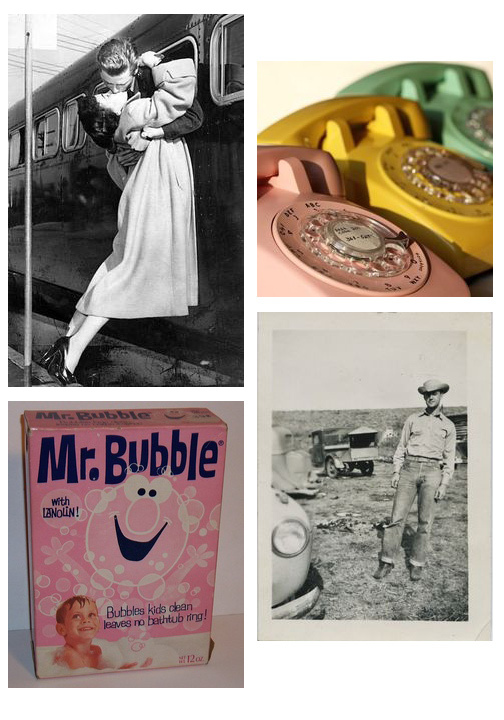 Comprehensive view of what middle-class Americans were wearing in the fifties. One hundred twenty pages of illustrations, accompanied by descriptive captions, depict one-piece strapless bathing suits and dresses with plunging necklines for women; business suits with wide lapels–and equally wide ties–for men; bluejeans, plaid shirts, and full, knee-length swing skirts for girls; fringed cowboy suits for youngsters of both genders; and much more. Over 300 black-and-white illustrations.